Darlene “Dee” Brezinsky grew up with two uncles who were physicians and a tremendous inspiration to her – one did house calls and delivered babies! It motivated Dee to become a Nurse Practitioner with a focus on reproductive healthcare for men and women, STD testing and treatment, Women’s Health and OB/GYN. “I am passionate about these topics and take every opportunity to teach patients about their health,” says Dee. She believes education and developing a health plan puts patients at ease about their health concerns. “They are better able to manage their health after we talk,” she states. Dee has been a Registered Nurse for 34 years and, since 1988, a Certified Adult Nurse Practitoner specializing in Reproductive and Women’s Health. Recently she completed a Post Masters Certificate Program and is now a Family Nurse Practitioner providing primary care services. Previiously she worked as a nurse practitioner at Yates County Family Planning for 15 years and Canandaigua Medical Group in their OB/GYN group for over nine years. 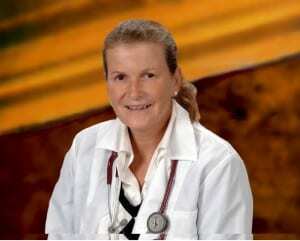 Her expertise also extends to public health, emergency medicine, ICU, medical surgical, and Hematology/Oncology. In her free time, Dee likes to bike, boat, swim, and garden – all in downtown Keuka Park.